National Collection of Aylostera, Rebutia and Weingartia (inc. Sulcorebutia). Until July 2018 the National Collection was housed in two Alton cedar greenhouses, each measuring 18 feet by 10 feet. There were as many plants stuffed into these two structures as there could possibly be, and conditions were not ideal for some plants which are crowded and shaded by others. The greenhouses did a great job over the previous 12 years or so but early in 2018 we took the decision to upgrade. 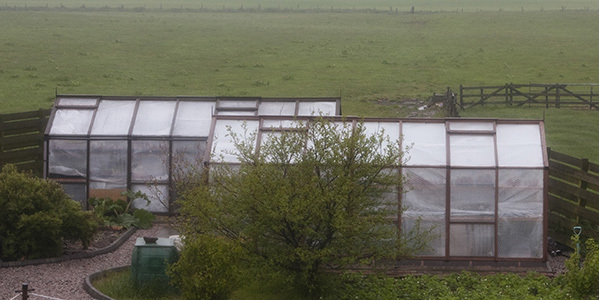 We replaced these two with a single, larger glasshouse of the Dutch “Venlo” style, refurbished second-hand, which is more weather-proof, gives us greater head-room, and allow us to cultivate the plants in more ideal conditions. 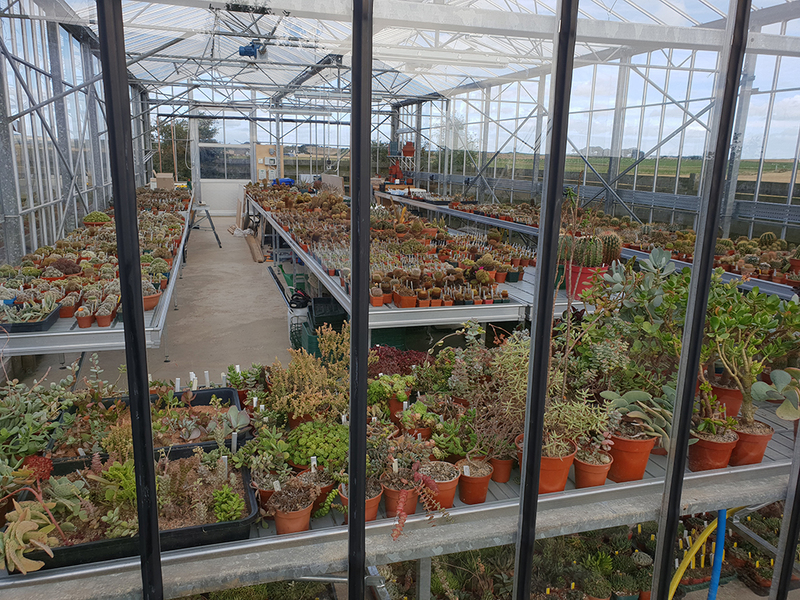 The new glasshouse allows for the display of the collection properly, and provides room for propagation. Vents are controlled by internal temperature, with a little weather station allowing for automatic closing when it rains or when it gets very windy. At present we have a problem with rain getting in along the base blocks, and one of the doors needing to be refitted; hopefully that will be sorted soon ready for the start of the colder weather. Upkeep of the collection takes a lot of time, entirely carried out by volunteers. If you have some plant-growing experience and are interested in helping out, in however small a way, please get in touch. Building and keeping this glasshouse running is expensive, paid for and maintained entirely by volunteers. If you would like to contribute to fundraising towards improving the new glasshouse, please click on the Paypal button below. You don’t have to have a Paypal account. All contributions will be very gratefully received and acknowledged on this website, and on our facebook page. If you would like to help us raise funds please use the button below. You will be redirected to our secure Paypal donations page.